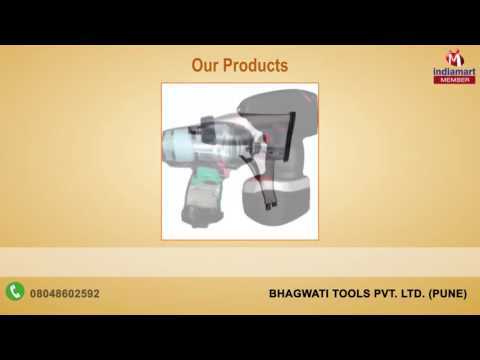 Bhagwati Tools Pvt. Ltd. was incepted in the year 1999 to provide services for all types of pneumatic tools. Our range includes Pneumatic Impact Wrench, Ratchet Wrench, Pneumatic Sander, Pneumatic Grinders, Pneumatic Air Drill, Pneumatic And Chipping Hammer, Pneumatic Screw Driver, Pneumatic Special Tools, Kilews Electric Screwdriver, Du-Pas Torque Control Screwdrivers, Cordless Shutoff Tools, Du-Pas Industrial Impact Wrench, Tools Chisels, Bit And Wire Brushes and Pulse Tools. Having office in Pune (Maharashtra, India), we are providing globally competitive value added services in term of latest technologies.